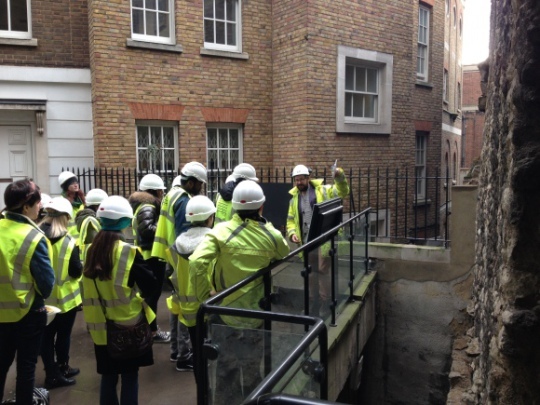 CITE AS: Flo Laino, "PHOTO DIARY : FEBRUARY 2015," in 100 Minories, March 17, 2015, https://100minories.lparchaeology.com/photo-diary-february-2015/ [Date Accessed: April 23, 2019]. 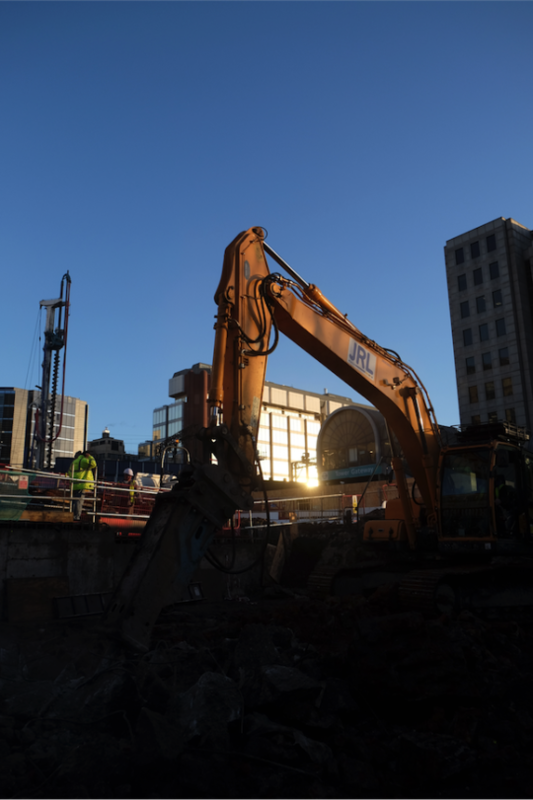 Excavation photos from 100 Minories throughout February 2015 (Area B), following the recording of the Georgian buildings of the Crescent. 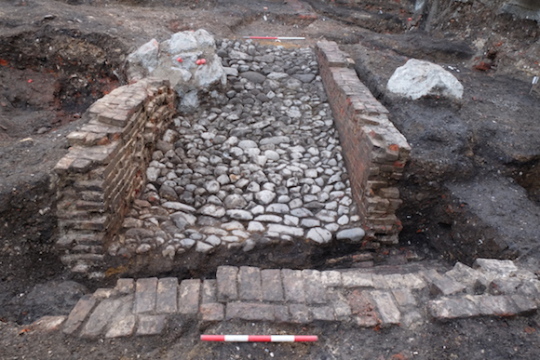 Following the excavation, cleaning, and recording of the Georgian buildings in Area B, we gave the go-ahead to demolish and remove them, so the next stage of works could begin. 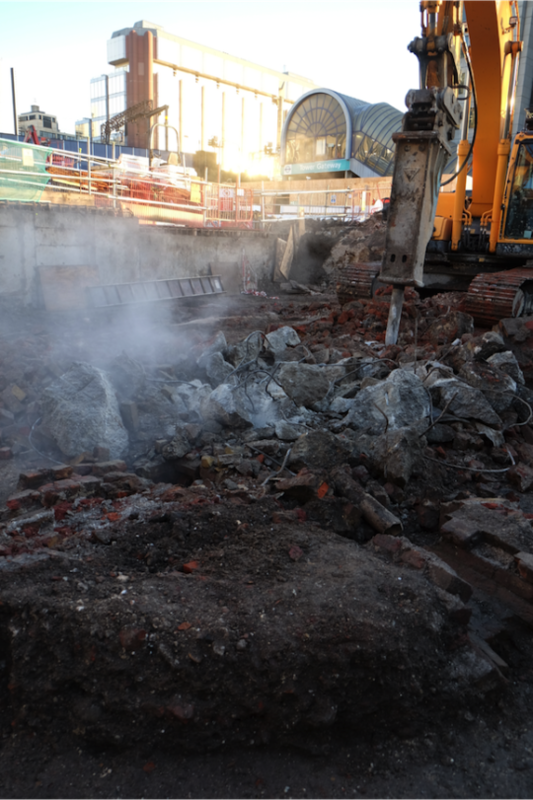 Demolition and removal of 1960’s concrete. 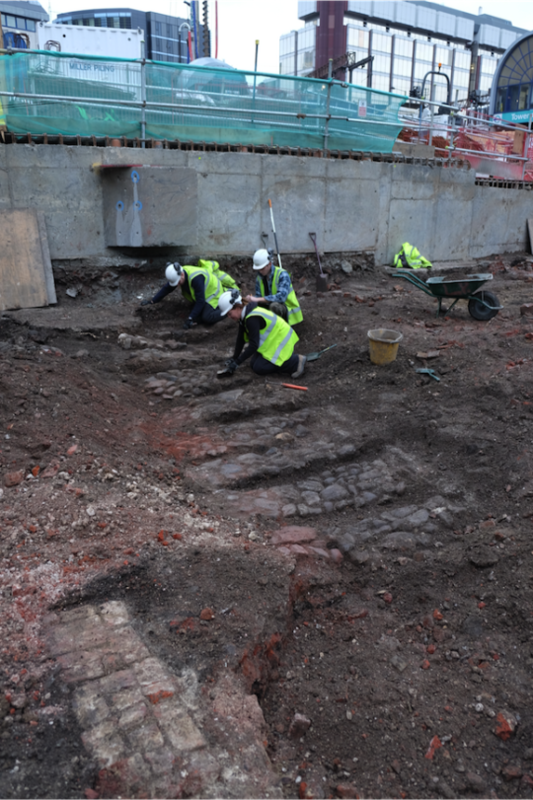 Cleaning cobble foundation pads of the Crescent. 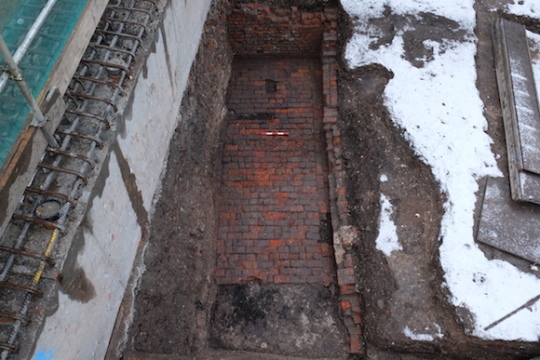 A brick-built room, possibly a cellar. 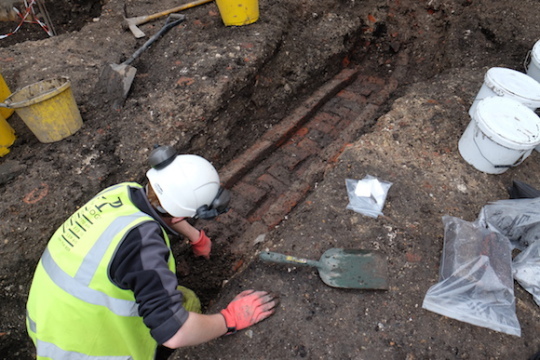 And in much continuity with January, more (earlier) brick-lined drains! 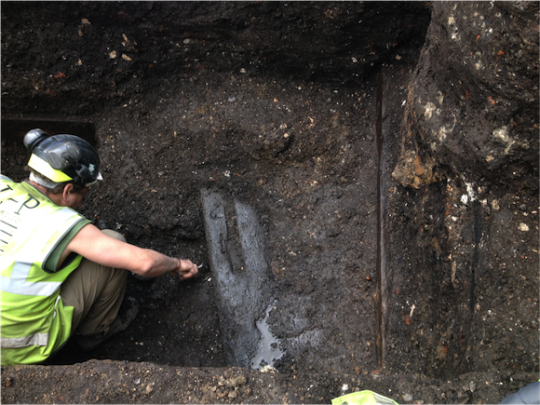 Archaeologist Dan Bateman excavating. 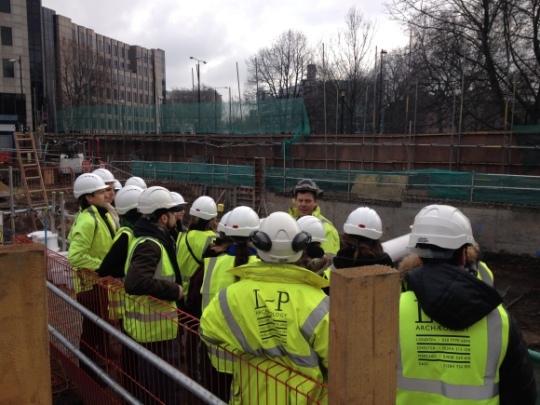 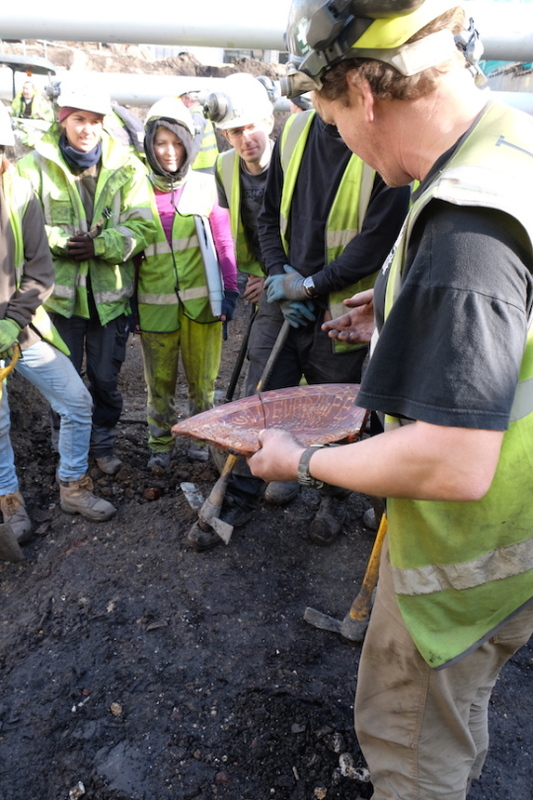 Chiz Harward (top) and Guy Hunt (bottom) speaking to students of Regent’s University London, a site visit. 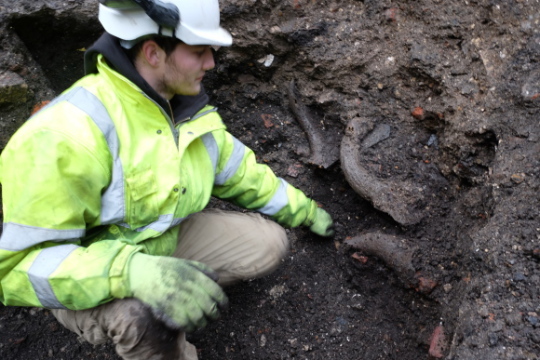 Tom Moore excavating some horn cores – common waste material in the East of the City, where small-scale industries such as horn working thrived. 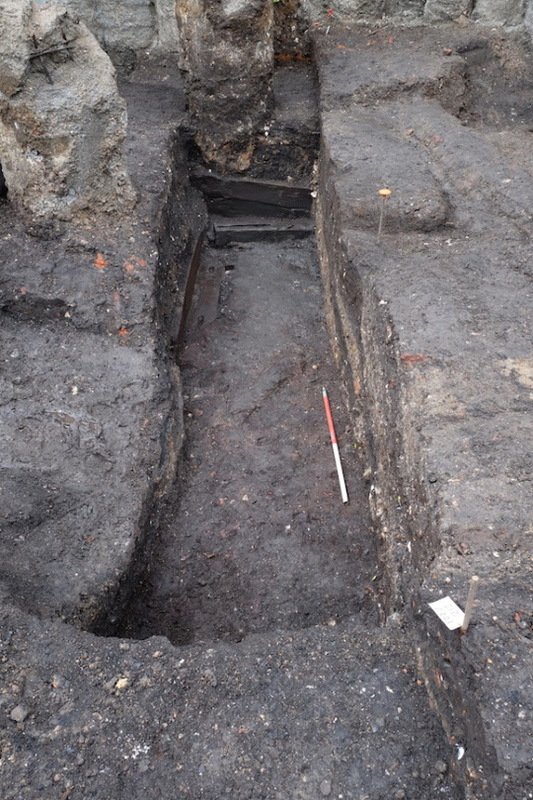 What at first appears to be a timber-lined pit appears from the ground, in late January. 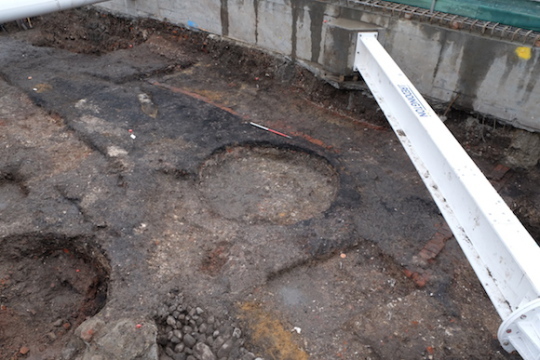 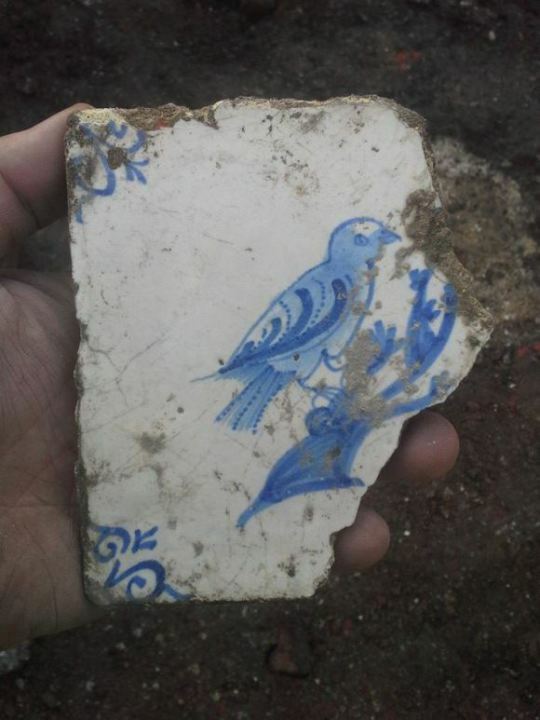 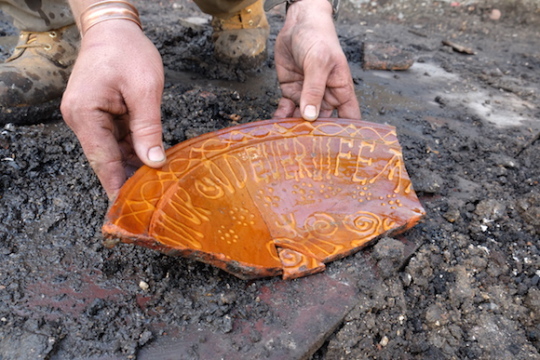 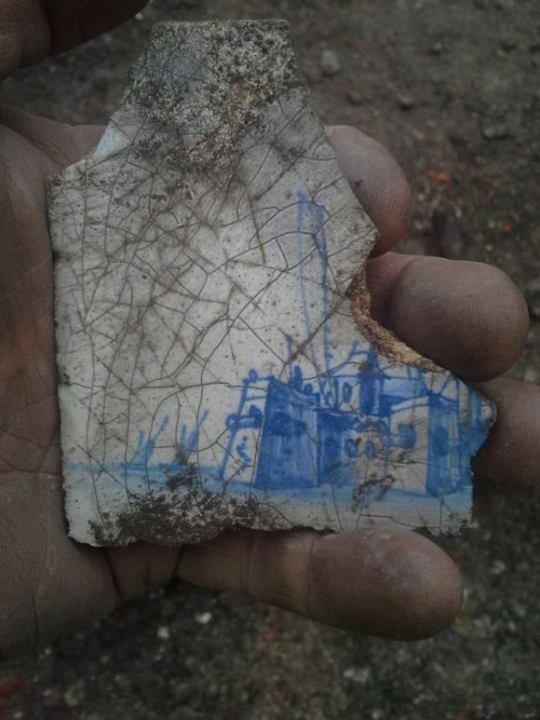 Excavation continues in March to reveal its extent.